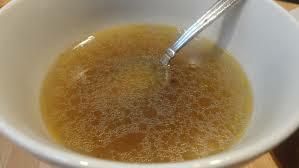 In Chinese medicine, one of the “secrets” of healing broken bones is to drink Bone Broth during the healing process. Most Chinese people know this and do not need a doctor to prescribe bone broth. Bone Broth as medicine was once part of Western medical knowledge. Today, Bone Broth is now part of the “common-sense” that has been lost with the over-emphasis on drugs and surgery. In the clinic it is very common to see bones that are not healing properly because of depleted energy reserves, poor nutrition, and people not resting during the healing process. In these situations, Bone Broth is invaluable. In the first stage of bone healing – during the first one to two weeks after a fracture – the emphasis is on clearing stasis and moving local stagnation of blood and fluids. To this end, Trauma Pills (Die Da Wan), or other blood moving formulas – such as first stage bone knitting pills, or decoctions that break and move stasis – are the key medicinal substances recommended by traditional bone setters. After this initial healing period – ie: during the next 4 weeks or so – as the bone knits, the knitting process can be accelerated and maximized by taking late stage bone knitting pills and/or the consumption of Bone Broth, which provides the exact nutrients that bones need to knit properly. Below are some different recipes for making Bone Broth. If you know or suspect that you may have a broken bone, make sure to consult with your physician before taking any herbs. Place the knuckle bones and calves foot in a very large pot with the vinegar and cover with water. Let stand for an hour. Meanwhile place the meaty bones in a roasting pan and brown at 350 degrees in the oven. When well browned, add to the large pot along with the vegetables. Add cold water to the roasting pan, place over a high flame, stirring with a spoon to loosen all the juices. Add this liquid to the large pot with the meat and vegetables. If necessary, add additional water to cover the bones. Bring to a boil. You can skim the top of any foam that rises. Then reduce the heat and add the peppercorns and thyme. Simmer for at least 12 hours and as long as 24 hours. 10 minutes before the end of the cooking, add the parsley. Strain the liquid so that you have a clear broth that can be used for cooking or as a tonic for the kidneys and bones. Thanks to Mary Evans for this recipe. Place 1.5 pounds of pork marrow bones in a pot with 10 cups of water. If there is meat on the bone, brown the bone(s) first on all sides in a pan with cooking oil. 5 slices of fresh ginger. Bring to a boil and simmer for 3-4 hours, occasionally skimming the foam off the top. With any of the above recipes, you can add Chinese herbs to make it more of a tonic for healing broken bones. Herbs that nourish qi and blood and herbs that nourish the kidneys and strengthen bone and sinew are common additions. Use hot water to clean 1.5 pounds of oxtail – wash until water runs clear, then rinse again with cold water. Blanch oxtail and get rid of the water. Put all the ingredients together in a large pot with 8 quarts of water. Bring to a boil, then turn heat to low and cook for 3 or 4 hours. Cook the soup down until there are about 2-3 quarts left. Discard the herbs, keep the broth and meat to eat. Add salt to taste when serving.